The Phoenix Suns have agreed on a deal that would send point guard Eric Bledsoe to the Milwaukee Bucks in exchange for Greg Monroe and draft picks. The Phoenix Suns have agreed to send guard Eric Bledsoe to the Milwaukee Bucks for center Greg Monroe, a 2018 protected first-round and a 2018 protected second-round draft pick. ESPN's Adrian Wojnarowski and Zach Lowe first reported the news. Sources: Suns, Bucks have agreed in principle to trade Eric Bledsoe for Greg Monroe and protected 2018 first-round and second-round picks. The Bucks and the Suns were engaged in trade talks over the past couple of weeks but couldn't agree to terms for the NBA's reigning Rookie of the Year Malcolm Brogdon. 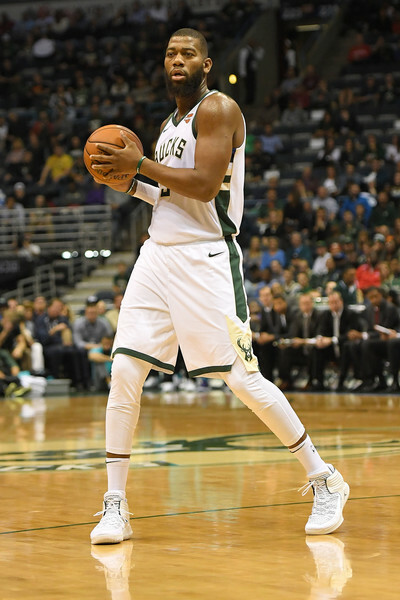 Bledsoe will pair with Giannis Antetokounmpo and Khris Middleton for what could emerge as one of the league's best offense. Milwaukee is currently 10th in the Eastern Conference with a 4-5 record. As for the Suns, they could potentially have three first round picks in 2018. Phoenix would have their pick, the Miami Heat's pick (top-seven protected) and Milwaukee's (lottery protected). Phoenix (4-7) could have seven first round picks from 2018 to 2021. 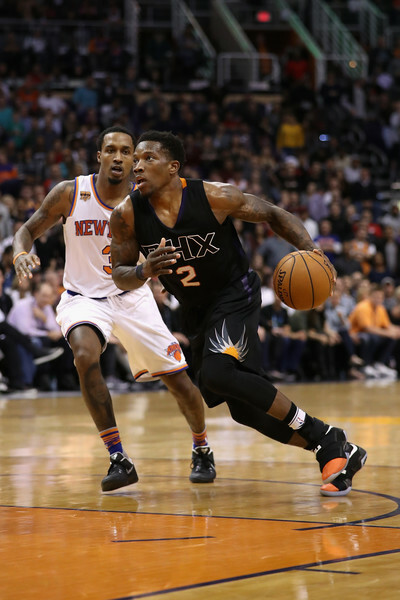 Eric Bledsoe #2 of the Phoenix Suns handles the ball during the NBA game against the New York Knicks. Bledsoe, 27, averaged a career high is points, assists and rebounds last season before being shut down last season by the Suns. Bledsoe has not played since expressing his displeasure with the Suns. If Bledsoe returns to form he could average 21.1 points, 6.3 assists and 4,8 rebounds per game. In the first nine games, the Bucks are 21st in the league in points (103.9), third in the league in assists (24.4) and last in the league in rebounds (37.7). Bledsoe is set to make $14.5 million this season and will finish his five-year, $70-million deal next season by making $15 million. Greg Monroe #15 of the Milwaukee Bucks. Monroe, 27, has played in only five games this season and hasn't played since October 26 because of a left calf strain. Monroe has been one of the most consistent centers in the league. In three seasons with Milwaukee, Monroe has averaged 13.3 points and 7.6 rebounds per games. Monroe’s contract pays him nearly $18 million this season before he hits free agency after the year. The Suns have yet to decide on what to do with Monroe as of yet. Phoenix can keep him, trade him or just cut him.